Remind yourself each day of why you are participating in the act of Lenten sacrifice. Why is Lent meaningful to you? By giving yourself these little reminders, it will help keep your motivation fresh, rather than leave you feeling like Lent’s just another diet or arbitrary restriction. Don’t forget to celebrate feast days on Sundays. Giving yourself Sunday as a mini-Easter and a day of rest not only gives each week a little built-in treat, but it can remind you that time spent worshiping and meditating on the Creator isn’t meant to be a time of punishment or hunger or dreariness—it’s meant to be a time of gratitude, fulfillment, and intention. If you’re sacrificing something as part of your Lenten observance, then consider also taking something up as well. Whether it be a designated time to pray or meditate each day, a new sport or outdoor activity, a new hobby such as gardening or writing, the taking up of something new and positive as a part of Lent can be a terrific, daily reminder that Lent is more than simply a time of sacrifice. It is also a time of anticipation and giving back. Make extra time for friends and family. Lent can sometimes feel like a time of loneliness or self-denial: the denial of fun, alcohol, desserts, movies, etc. But just because a lot of classic Lenten sacrifices impact our recreational activities, it doesn’t mean that Lent should also equal a sacrifice of our social lives. Don’t let Lent become a reason to stay indoors and away from others. Instead, use it as a time to show others how grateful you are to have them in your life. For more tips and ideas, check out this article on how to make Lent joyful from Ellie Borkowski with Life Teen and the article “Beyond Fasting” by Joe Lovino for umc.org. By entering into regular reflective practices such as prayer, yoga, journal writing, or meditation, you’ll not only help keep yourself healthier, but you’ll find yourself better equipped to help and empathize with the needs of those closest to you. A healthy spiritual life often means keeping an open mind to things miraculous, supernatural, or beyond ourselves. This exercise in open mindedness can help prepare us with the generosity, respect, and curiosity necessary to learn about the perspectives and beliefs of others. In this way, we deepen our relationship with God as well as with our friends and neighbors. Having faith typically also means that you are an active seeker of wisdom and understanding, leading many people into intimate conversations, intense study groups, prayer vigils, and other such settings. Engaging in these kinds of intimate activities with loved ones can be a terrific way of strengthening bonds of trust and understanding. Reading and learning about religious texts and histories is often an exercise in learning about the history of love. For Christians this is absolutely the case, as the Bible is packed full of scripture dedicated to the nature and power of love. Meditating on and sharing these passages with friends and loved ones can be a great way of sharing profound feelings when our own words would fall short. This can also be a good way to enhance our relationships with our children, discussing with them the power of love and all its various forms. Having faith is a lifelong process of growth and learning. By continuing to grow and seek God throughout our lives, we can sometimes stumble and find ourselves vulnerable or even embarrassed by or anxious about our own changing beliefs and feelings. But if we are brave enough to share these struggles with loved ones, then not only will we find ourselves drawn closer to God, but we may also find ourselves drawn closer to each other as well. For many, having faith also means being part of a faith community. Engaging with a faith community, whether through weekly services, gatherings, or other events, opens us up to make new friends while also giving us a safe, reflective space to share with current friends and family. A healthy spiritual life usually also goes hand-in-hand with having access to strong mentors in the form of priests, rabbis, and other leaders. By seeking out guidance from available mentors, we open ourselves up to the fact that there is much we can learn from others while also discovering how to become effective mentors and guides ourselves. 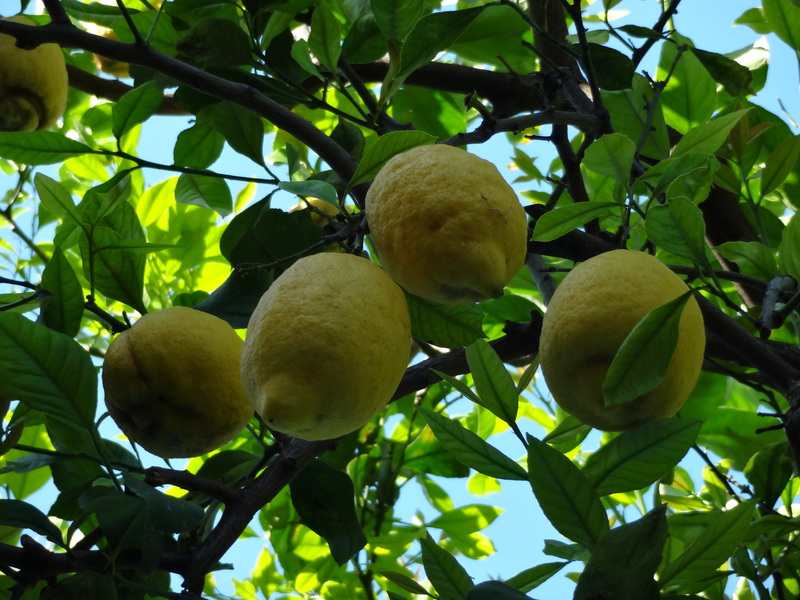 I took this photo in Sorrento, Italy, where the lemon trees bear the largest and most flavorful fruit I’ve ever tasted. It reminds me that the fruits of the spirit will grow abundantly in the right setting. “I need to look good without my shirt,” said Brandon, my dear friend. This is the statement that got me into a yoga studio, or frankly a gym of any sort, after a nearly two decade hiatus from indoor fitness. My friend Brandon is a professional dancer, and he had just landed a part in the ensemble of The Producers. Our practice began five months prior to opening curtain and opening his shirt. I had been active for the two decades riding bikes through the woods and on roads as a weekend cycling warrior. I was not unhealthy in the minds of many, but I was not a specimen of fitness either. Knowing that rigor is always easier with a partner, I took Brandon up on the offer and bought a Groupon for my first visit to a yoga facility. I had no idea how my body and mind would change with this friendly gesture. The first thing I noticed was the space. Why am I going to a studio and not a gym? Why does the space smell like a walk through a State Park? Why is the music so serene and mind stretching? Why is it so hot? Next I noticed the format of the class. Why is the instructor overly friendly with her voice? Why does my session start with “setting an intention”? Why does the experience begin with my eyes closed and finding my breath? Then I noticed the power of being stationary. Why is mimicking a raven so hard? Why am I floating on one foot, bent over, arms at my side trying to look like a jet in flight? Is anyone else having a hard time standing still? And why does my teacher thank me for sharing my practice? After confronting this experience several times it dawned on me that that the answer to all of these questions is rooted in one simple fact: Yoga is all about practice. The space: Yoga takes place in a studio because you go there to refine a craft. It’s not about mindless running in place or curling a weight seventy-three times. In yoga you work on form, an act of the mind and the body. It smells so good—yes, probably in part to hide our human aroma,—but more importantly, to refresh our minds. The sounds of the room impart a sense of exploration and encourage an inner and outer reaching. And it’s hot because your muscles are more elastic in a warm environment. The entire environment beckons us to explore. The class: Your teacher is so kind because we need encouragement in our moments of struggle to execute. The tenor of his or her voice lets you know that it is not only okay but it is right to try. There will be no judgement here by you, by your peers, nor by your instructor. You start your session by setting an intention because practice is most effective with a purpose. Our breath is a reminder of our humanity, our starting point. You find your breath to find yourself. Your breath melts mental dams. The class empowers us to try. Being stationary: It can be difficult to see the value of being at rest. How often do we take the moments we need to understand our present condition? Our minds, our mouths and our bodies are constantly in motion. This is why it is so hard to pose like a raven or fly like a plane. Our brain and our muscles need to train to be quiet, to be at rest, and to hold ourselves up in new positions. When we are at rest in mind, body, and spirit we have no idea if the other is better or worse than we. We only know of our own condition and our own place in the universe. We are free from judgement of ourselves and others. Being stationary gives us freedom to be ourselves. My practice of yoga has been incredible for my whole being. I am more flexible. I am stronger. I am more open. The spirit of the experience has allowed me to reach more. With the start of a new year, I have set my intentions. They are more ambitious goals than I would have set even a year ago. And more importantly, I have given myself the freedom to practice so that I will be ready to perform and achieve them! What will you reach for in 2016? Are you ready to give yourself the opportunity to practice to get there? And yes, Brandon found his form for opening night!